The last weekend in April we host the annual BBQ and Brews Festival in Canton. This event includes a GBA sanctioned BBQ competition, BBQ vendors, retail vendors, live music and some of the best craft beer you have ever had. A portion of all the proceeds go to #ForCanton. 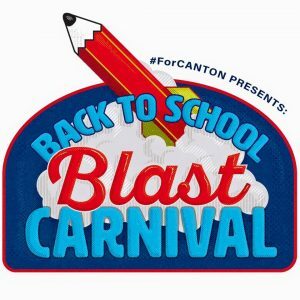 The Saturday before school starts back we hold our annual Back To School Blast Carnival. We give away backpacks filled with school supplies, clothing, provide carnival games for the kids and a hot lunch for all attendance. This is a free event for children in need in our community.